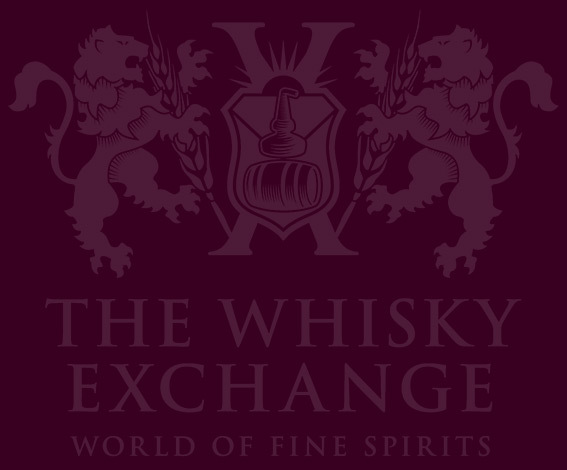 Ok, we’re doing something a bit different today on The Whisky Exchange Blog – a collaborative post! Yes, this particular blog on forty year-old whisky has been written by myself AND Sukhinder: he’s supplied the history and the cold hard facts, while I’ve contributed a cod-philosophical waffle about perceptions of value at the start. A winning combination, I’m sure you’ll agree. "This is too confusing. My brain hurts." Right, let’s crack on. I’ll go first. Are 40 year-old whiskies worth the money? It’s a tough question – and anyway, what does that ‘worth’ really mean? 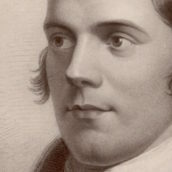 Bladnoch’s Raymond Armstrong has been quoted (perhaps apocryphally) as saying that no whisky is worth more than fifty pounds (with inflation, let’s call it £55 in today’s money). As Mr. Armstrong is a distiller and independent bottler, a lot of people are grateful that he feels this way – however, in a wider context history tells us that there are many people whose price threshold is rather higher. The perceived ‘correct’ price of any whisky is a different number for everybody, and therein lies the rub. 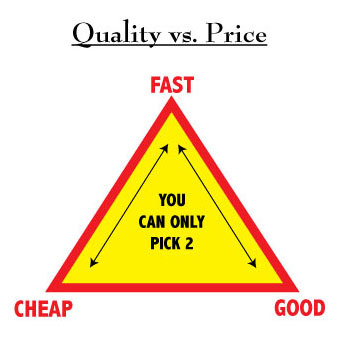 We should also introduce at this stage the classic economist’s Price / Quality triangle, which introduces the element of time. Incidentally, as a general rule this can be very handy in discussions with your boss. Popular hippy philosopher Robert M. Pirsig pointed out that Quality & Value are essentially the same thing and exist outside the traditional subject-object metaphysics, and it’s difficult to argue against that, mainly because most people haven’t a clue what he’s going on about. But we’ll leave the Metaphysics of Quality alone for now. This is whisky economics, and we don’t have time to get waylaid. While the above diagram is very simple, the relationship between ‘price’ and ‘value’ is actually hugely complex. ‘Price’ is an objective reference: a solid, definable, real-world standard either set by the vendor or arrived at after a negotiation with the buyer. 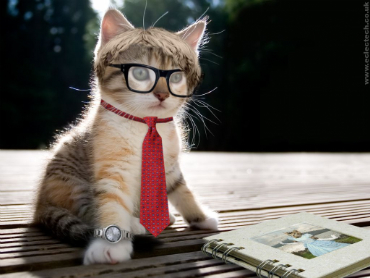 Price is a number, and is therefore knowable. Individual notions of ‘Value’, however, are in the eye of the beholder: a subjective standard with infinite variance. An object’s value is intransigent, undefinable and individually perceived, making it dependent on a range of factors that are themselves in constant states of flux. Rival individual perceptions of value create demand for an object, and therefore have a crucial effect on its price. As an example, if someone found an indisputably genuine nineteenth-century bottle of Ardbeg and sold it at auction next week there’s no telling what price it would go for – there are more than enough Ardbeg nuts for whom money is no object who would feel that they had to have it. Equally, if the whisky boom continues ad infinitum, in a century or three the last bottle of Port Ellen or Malt Mill will change hands for an unimaginable figure because its symbolic value is so great to rival bidders. Yet from a teetotaller’s perspective it’s just a piece of glass, an ornament. Again, some objects are so rare or ‘valuable’ that their price cannot be guessed. Yet a man dying of thirst would swap the Koh-i-Noor Diamond in a heartbeat for a bottle of water. Perception can be a funny thing, especially where value is concerned. What is the value of a 40 year old whisky? £100 or £10,000? This is a difficult question, but the honest answer is “whatever someone is prepared to pay for it”. However, there is a lot of confusion in people’s minds as to what should constitute ‘honest’ pricing of aged whisky. So what’s out there? Over the years distillers periodically release what they call their crown jewels, the oldest whiskies from their cellars. For most of these distillers we are talking about whiskies that are 40 years and over. 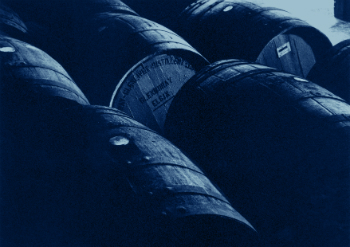 Yet, looking back at how many distillery-bottled 40 year-old whiskies have been released over the last 20 years, you may be surprised to find that there haven’t actually been that many. 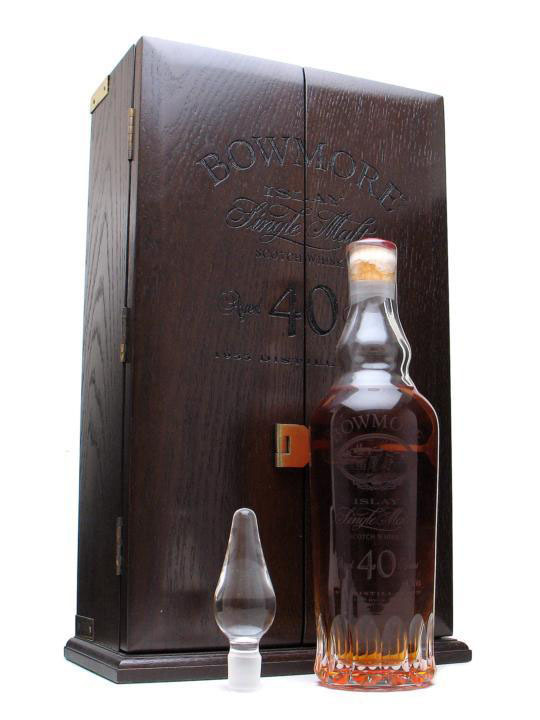 One of the first distillers to release a 40 year old was Bowmore in 1996. This was released at a staggering £4,000. Being one of the first distillers to go down the premium route, they did not have many benchmarks to check against. 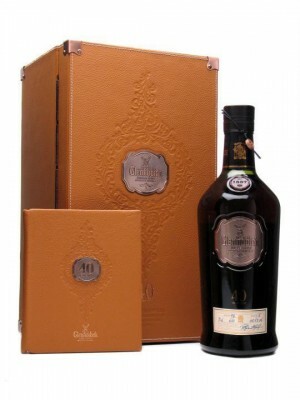 The Glenfiddich 50 year old from 1991 was selling for £5,000 so it made sense that a 40 year old should be a tad less. Looking back they got it totally wrong, however, as it took over 10 years to sell a mere 306 bottles. They released many other aged products on to the market after the 40 year old where the prices were a lot more realistic and the products sold extremely well and sold out very quickly. Today Bowmore is one of the main players in the world of premium whisky and can literally dictate prices for its aged stocks; the most recent Bowmore 40 year old now trades at around £5500 and even that is relatively inexpensive amongst other aged malts on the market today. Next in the line of distillery-bottled 40yos was the Highland Park 1958 / 40 year old at £1000. This was followed soon afterwards by the Glenfiddich 40 year old also at £1000; the Glen Moray 1959 (40 year old) at £600; and the Glenfarclas 40 year old Millennium at £1500. We have an interesting array of pricing here. Are the more expensive ones better quality? Definitely not!! All these whiskies are outstanding, albeit in different styles (from the ex bourbon cask Glen Moray to the mega-heavily-sherried Glenfarclas), but all are outstanding drams. So if they are all great whiskies, why the big difference in pricing? After all, every company wishes to be the best at what they do and charge the highest price they can for their product. • How much stock do they have? If they bottle a 40 year old now, do they have enough liquid to do it again as soon as it sells out or do they have to wait another 5 years, 10 years or 20 years? 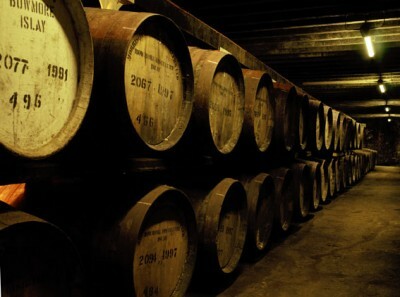 • What is the demand for aged whisky on the market today? • How premium is their product perceived as? What other products on the market does it compare to? • How good is their global distribution? Is their brand more premium in certain markets than others, and are they therefore going to make it exclusive to these markets? I was going to add quality to the above list, but it is only fair to say that a distiller will only bottle a whisky at this premium price point if they feel it is of outstanding quality for its age, otherwise they could do more harm than good for their brand. 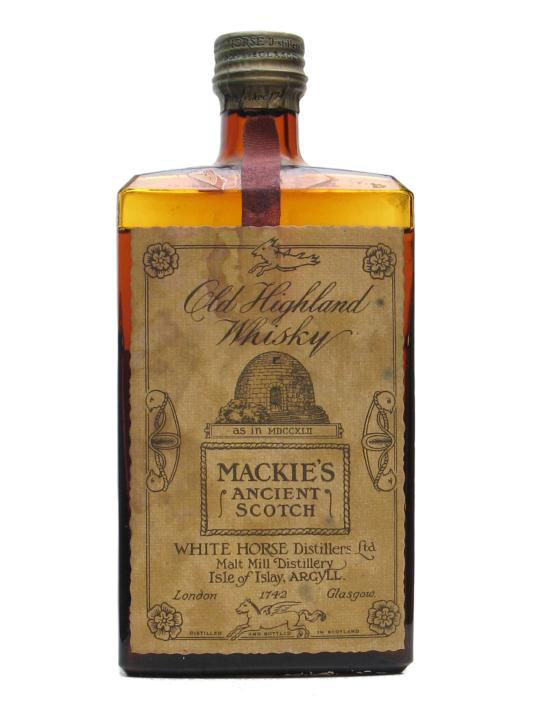 How well did these similar quality 40 year old malts sell? The Glenfiddich 40 year old was the first to sell out followed by Highland Park 40yo, then the Glen Moray 40yo. By contrast, believe it or not the Glenfarclas 40yo Millennium is still available from the distiller – but there are only a handful of bottles now left. The Glenfiddich did very well: with a sales team in nearly every key city of the world, it was well distributed and used as the crown jewel in every tasting the company did. This laid the foundation for a successful product generating demand worldwide. Since the launch of this whisky in 2000, there have been six or seven similar sized batches released over the last 10 years (about 4000 bottles in total). 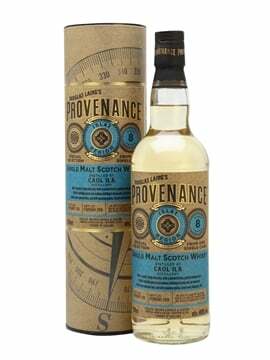 Demand for this beautifully crafted malt by master blender David Stewart is extremely high today. In other words, the company could probably sell every bottle they could make – but they wish to keep the product alive on the market for years to come, so have decided to release a certain amount each year. The price has also increased to £1600 from the original £1000. Has it made any difference to demand? Not really – if anything we seem to get asked for it more than before. On the other hand, I feel the Glenfarclas 40 year old Millennium was somehow forgotten about by the company and was not sold at full potential: only in the last couple of years have efforts been made and most of the stock was then sold without any problem. The whisky is a big sherry cask dream dram and I remember at the time of release it won the best whisky of the Millennium. We sold lots of this and continue to do so, it was and is expensive but compared to its sherry matured whisky colleagues like Macallan it still sits well in terms of price and quality. The feeling after the Millennium was that there may be a recession, and most companies were cautious as to what they released and at what price. Then came the Laphroaig 1960 (40 year old) exclusively in the UK for Oddbins (RIP) at an incredible £375. 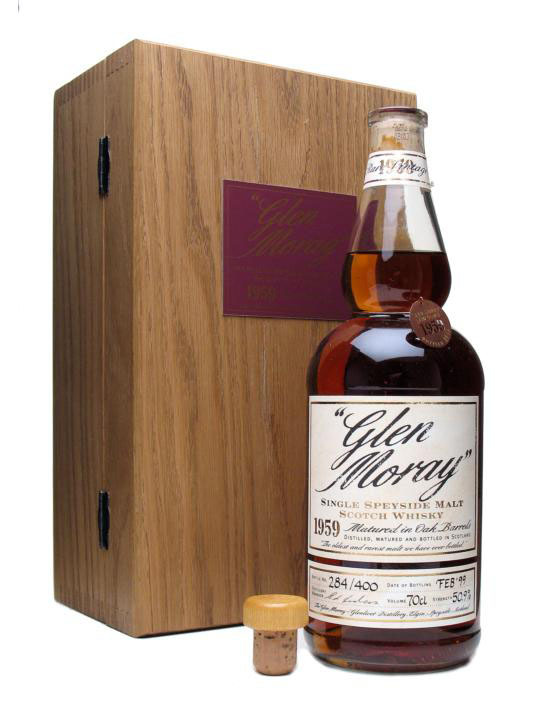 There were just 300 bottles of this whisky, and it sold out in a matter of weeks. For the rest of the world there was a Laphroaig 40 year old, which was the same whisky but without the vintage statement. 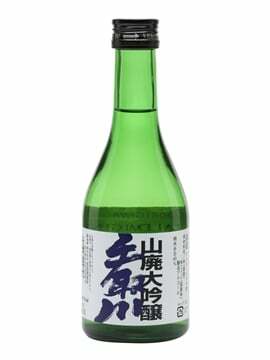 This was also sold at the same price – with around 3000 bottles available this took about 2-3 years to sell out. Being so reasonably priced, some customers commented that “the quality was not good” and they felt this was the reason it was so cheap. They could not understand why a Laphroaig, especially a 40 year old, was not so peaty. Since there were few aged Islay malts on the market to compare with, what they did not realise was that with age, the peaty flavors mellow out and the whisky becomes softer and more complex. Is it a good whisky, we ask? Oh yes!! 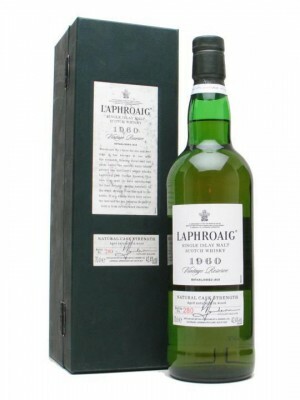 The market price of Laphroaig 40 year old has crept up to about £2000 a bottle and demand is still pretty high!! It seems that over time, the market determines the true value of a whisky: if it starts off high, it takes longer to sell out but eventually the market catches up to the price point and then the product seems cheap. There have been about 15 different distillery-bottled whiskies released at this lovely age of 40 years in the last 10 years, somehow I would have guessed more!! 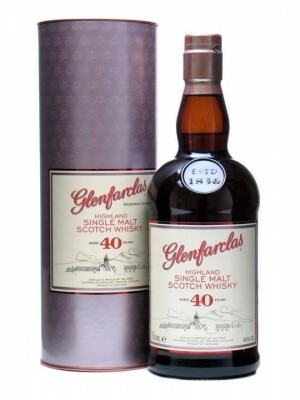 And now to the latest release, last year’s Glenfarclas 40 year old at an unbelievable £295. 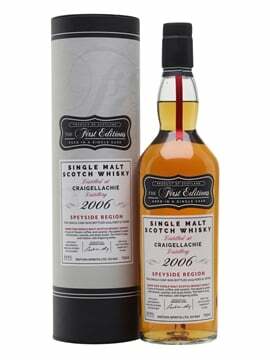 This is the only ongoing long-aged release from a distiller that is sold to retailers without allocation. How can they do it?!? And why is it so cheap?!?!! The answer is not that complicated: Glenfarclas probably has some of largest aged stocks in the industry and as they do not use big volumes for blending, they have waited for the right time to release this mega-aged expression. Also, they have not spent the usual budgets on the expensive packaging that generally comes with aged whiskies – instead they have kept everything simple and in keeping with the rest of the range….Excellent!! I like simple things. I am sure they will attract new consumers to the brand. Good quality aged sherry cask matured whisky is getting more and more difficult to find, especially at sensible prices. The Macallan has big demand for its sherry whiskies but not enough stock – their Macallan 40 year old was a limited edition of 400 bottles and was sold exclusively at duty free for £1200 a bottle. It sold out in a matter of months and is now trading at well over double the original price. So what is the true cost of whisky to a distiller? Well, the true cost of the liquid is actually not as much as you would imagine: the cost of the raw materials to make the new make spirit and the cost of the cask, plus an element for the ongoing running costs of the distillery (Rent, maintenance, staff costs, wear and tear, marketing, etc). Aged whisky only gets really expensive when it needs to be purchased from another distiller / broker. For example: If you as a distiller have an ongoing aged whisky and due to good demand you run out of stock, it may be possible to buy casks back from another distiller who may have stock for blending purposes – but the price you will have to pay will be at a large premium. This premium is called market value and changes depending on demand and supply for the malt from that distillery. Wait, there is much more to it than this!! Firstly, we are talking about a very long ageing period – in this case, FORTY long, slow years!!! !………..I am just over 40 years old and just trying to imagine waiting for another 40 years to try a whisky distilled now is somehow not acceptable!! It is just too long a period!! Too far away!! Then there are many factors that are unpredictable. There is a possibility that the casks you fill now for a future 40 year old may turn out to be….not very good!! Then you have no whisky to bottle. Or, on the other hand, due to unforeseen demand in 30 years time you decide to bottle all of it then and not keep it till 40 – maybe it tastes so damn good then that you are not sure how it will change in another 10 years. Don’t forget, until a few years ago the industry did not really plan keeping cask stocks for long maturation as it was regarded as bad housekeeping. Most whisky peaks at around 20 year old, so very little was kept over this age unless it was required for existing aged expressions – especially when they did not know what it would be like in the future – would it even be drinkable? So it’s only in the last fifteen years or so that these 40 year-old whiskies have been taken seriously by the distillers – and only a few have the stocks to produce anything other than occasional single cask expressions at this great age. 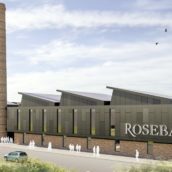 That is starting to change as more and more distillers reveal the results of longer-term cask planning – and thankfully, when a distiller has been able to bottle an official 40 year-old the results are usually spectacular. 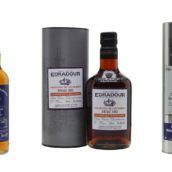 Ok, it’s Tim again, now: and a big Thank You to Sukhinder for taking the time to elucidate the history of these special whiskies. It’s fair to say that this has become a fairly definitive overview of 40yo OB’s. 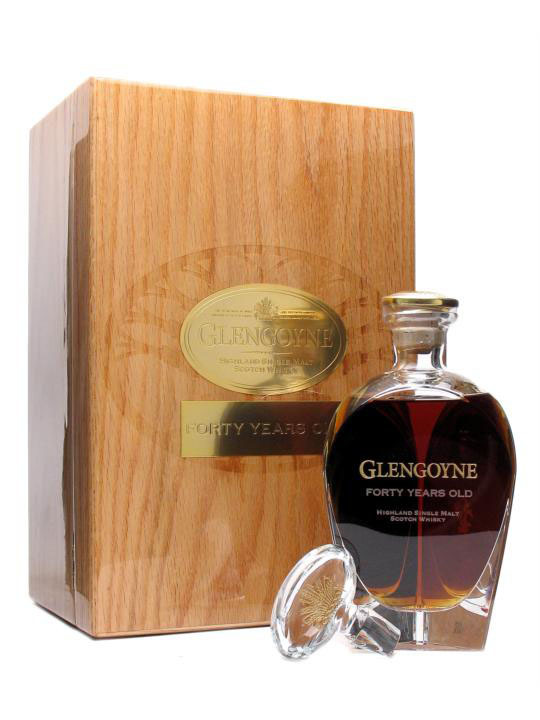 I’m going to finish up this collaborative post with a taste of one of the best forty year-olds ever to hit the market: Glengoyne 40yo, which has won wide acclaim, and scooped the award for Best Ultra-Premium Dram at last year’s Whisky Show. This is one of the priciest whiskies I’ve ever tasted, weighing in at £3500. Nose: Real depth of aroma, with damson jam, strawberry liquorice, sponge cake and some toasted vanilla notes initially. Seems fresh for its age. Strong polished mahogany aromas, rye bread and faint mocha / cappuccino notes. Some resinous aromas, prunejuice and muscovado sugar as the oak begins to assert itself. Solid and weighty. Becomes nutty (hazelnut, brazilnut, some walnut notes) and treacly. A dense, concentrated nose with real gravitas. I’m not going to offend this with water. Palate: Heavy mouthfeel. Quite peppery initially, then a surge of the purest dark sherry oak. The nuts and dark fruit from the nose are prominent, and the coffee notes are there too. Like a strong coffee with a shot of walnut syrup. Very rich but not overpoweringly sweet or Christmas-cakey: although the prune & treacle notes from the nose are definitely present, the oak contributes pleasant balancing dry wood tannins, making this a surprisingly savoury palate. Finish: Very long, becoming dry as one would expect from a 40yo whisky. Sits in the mouth and gives little indication of fading. An epic finale. Comment: This is serious stuff; big, densely-wrought whisky with quite a macho flavour profile – not for the sweet-toothed sherryhead but a dream dram for fans of heavy-duty very old whiskies. Whisky Show Tickets Now On Sale!! Very well written and enjoyable article to both of you. 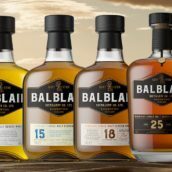 For info, the Isle of Jura 40 YO and the Balvenie 40 YO could be added in your list and one important factor that should be considered while estimating the price of a 40 YO whisky for a retailer is the loss of content due to an angel share and more importantly the cost of the money invested in the cask and the material during 40 years (think about your mortgage…) … and more than often, the cost of the packaging is higher than the true value of the content…. I have to explain matters like this almost every day so it is great to see this article explaining the perceived and actual value of products of this age. Questions as to pricing products of this age will always be asked and I hope that will continue but what we should realise is that it has taken half a lifetime to produce some of these products and that is also worth a lot of money. These items should never be cheap but it is nice, when a couple, (like Glenfarclas), make their brand price fall within more peoples budgets.